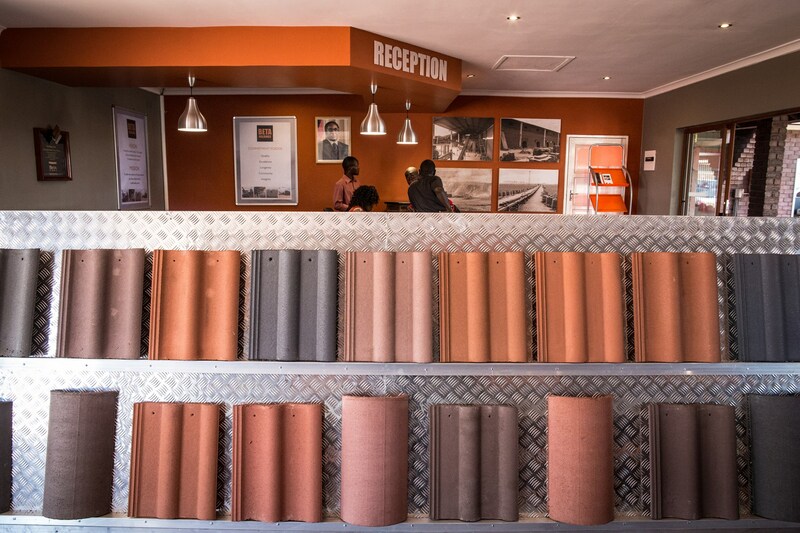 BETA Holdings is Zimbabwe’s largest brick and concrete roof tile supplier, with its origins dating back to 1953 when it was established as Alpha Bricks. The company, which is headquartered in Mount Hampden has representative sales offices in Bindura, Mutare and Kwekwe, and has also expanded its regional footprint with operations in Zambia and Mozambique. BETA Holdings employs the latest production technologies in its three main operating subsidiaries, Beta Bricks, Beta Concrete and Beta Logistics. The company is cognisant of its sustainability and other social mandates and therefore is committed to achieving and sustaining a high standard of quality, occupational health and safety as well as environmental management in its operations. To this end, BETA Bricks and Tiles are accredited and endorsed by the Standards Association of Zimbabwe in line with the company’s commitment to quality. In 2016 BETA HOLDINGS became the first brick manufacturing entity in Zimbabwe to receive certification for integrated ISO management systems : ISO 9001:2008 (Quality Management System), ISO 14001:2004 (Environmental Management System) and OHSAS 18001:2007( Occupational Health and Safety Management System) . 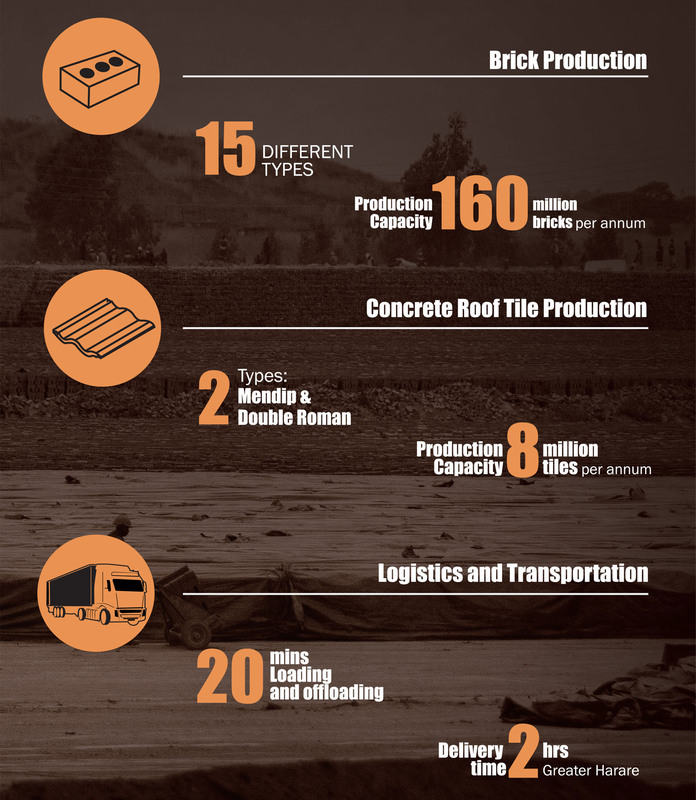 In February 2017, BETA Tiles successfully concluded a transaction that resulted in the acquisition of Msasa Bricks, a concrete products manufacturing business in Harare. The acquisition supports BETA TILE’s vision to provide a full range of concrete based construction and infrastructural inputs supplies and extends the Beta Group’s position as the leader in key infrastructural inputs in the country. The business, which has been re-branded to BETA Concrete, is involved in the manufacture of concrete products, including standard and face bricks as well as pavers for industrial and residential use. The operation also includes a build center, providing customers with a one stop shop for their building material requirements. To be the market leader in the supply of key infrastructural inputs in Zimbabwe and the region. To offer the market world class products and value added services at affordable prices. Quality – To utilise state of the art technology to ensure our products are of the highest standard and are built to last. Excellence – Employing a highly skilled workforce that is constantly trained to do better and be better. Longevity – Maintaining relationships with our customers, suppliers, contractors, partners and other key stakeholders by upholding high levels of professionalism, integrity and honesty. Community – Supporting and giving back to the communities around us through health, educational, financial and medical initiatives. Integrity – Striving to do the right thing every day and in every situation is fundamental to our corporate culture.